When it comes to in-house financing, car dealers tend to make it harder than it has to be. At Twin City Honda in Port Arthur near Orange and Beaumont, TX, our automotive loan experts have streamlined the credit application process. It is the goal of our car dealership to make applying for credit easy and hassle-free. All you need to do to start the process of receiving the vehicle financing you deserve is fill out then submit our secure, online credit application. As soon as your application arrives, our team of experienced credit managers and automotive lenders will review your request for financial assistance. Once we have reviewed your credit report, we will contact you directly to go over our findings and discuss the finance packages we have prepared for your unique credit situation. After you know if it makes more financial sense to buy or lease, and what your monthly finance payments will be, you can make an informed decision. So, contact our Honda dealership directly at anytime with your questions or visit our Port Arthur, Texas car dealer today. We want to help you drive home a new Honda Fit. At Twin City Honda, we want to ensure that you are properly informed of every buying option available to you. When you know your choices, you can decide upon a payment method that aligns with your vehicle needs and budget. If you are someone with low credit or a bad credit rating, you'll be glad to know that we provide subprime auto loans and bad credit financing. Our dealership's goal is to make financing a used Honda Civic at Twin City Honda affordable and possible. 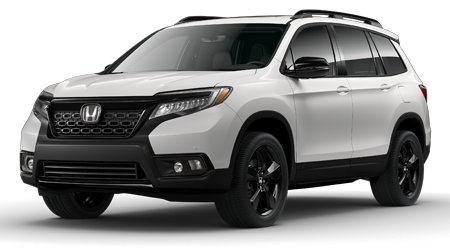 While you are visiting our easy-to-navigate website, drag your mouse over to new cars for sale and view the exciting selection of fun Honda car, truck, SUV, and Hybrids we stock. While you are there, acquaint yourself with your next new Honda Civic or Accord Sedan. If you are shopping on a budget and looking for something pre-owned, check out our supply of used cars for sale. Twin City Honda carries a complete selection of new and used automobiles and is proud to serve shoppers of all credit ratings in Port Arthur near Beaumont, TX. We even offer bad credit financing, because everyone deserves the safety and excitement of a Honda. Our sales associates are standing by to arrange a test drive. So, let us put you into the Honda you've always wanted!